Not forgotten, and certainly not gone! No, Robert Lockwood Mills' book on the Lindbergh Syndrome is not dead. It is alive and well, and as good as ever. It is just that it is being superceded by his new book, which you saw on the home page. You can still see all the same information here. Screenwriter, Founder of Coverage, Ink. "Fun, as well as informative, to read..."
In today's busy world, with everyone on the run, there are still some people who will stop to lend a helping hand. These are the modern-day heroes--the ordinary people who go out of their way to rescue someone else. 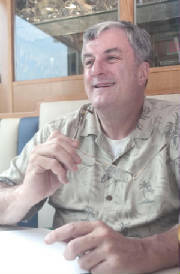 Consider the policemen who went out on their boats to rescue the seven people who were in the helicopter that plunged into the East River in New York City in June, 2005. They got a two-line mention in the New York Times. Admittedly, it was part of their job, but they placed themselves at risk in the line of duty. Is this new? Robert Lockwood Mills, in his book The Lindbergh Syndrome: Heroes and Celebrities in a New Gilded Age, shows that the same thing has been going on for many years. 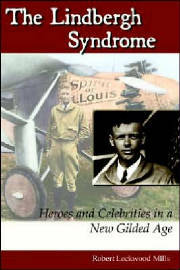 The Lindbergh Syndrome: Heroes and Celebrities in a New Gilded Age explores the political, media, and cyclical forces that converged at the moment Charles Lindbergh landed a tiny plane, Spirit of St. Louis, at Le Bourget Field in Paris in 1927. It asks, "Why did Lindbergh, a reluctant hero to begin with, become the most charismatic personality of his era, against his will, merely for what he regarded as a scientific accomplishment? Why, in the starkest contrast, did Neil Armstrong, upon returning from the 1969 moon landing, become an anonymous citizen, who at all times has been granted the privacy Lindbergh was denied?" The Lindbergh Syndrome is presented here as a societal ailment. Even as we ask, "Where have all our heroes gone?" we at once indulge in what Mark Twain in 1873 first identified as Gilded Age conceits...frivolousness, laissez-faire economic policies, anti-intellectualism, and public gullibility toward business and government malfeasance. Because Gilded Ages lead to cynicism and social decay, this book hopes its modest goal of calling attention to their existence will help American citizens avoid them in the future...and in the process, be able once again to recognize the difference between a hero and a celebrity.